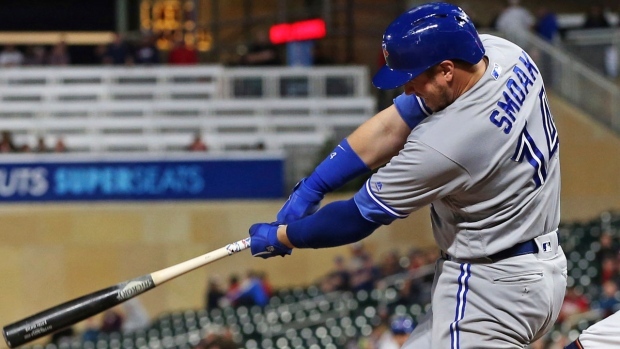 MINNEAPOLIS -- Teoscar Hernandez hit a two-out single in the seventh inning, delivering the go-ahead hit for the second straight game, as the Toronto Blue Jays beat the Minnesota Twins 6-5 on Tuesday. Tuesday's game ended with the Twins' C.J. Cron getting thrown out at home plate. Cron tried to score from first base on a double to left field by Byron Buxton. Minnesota tied the game in the sixth inning on Eddie Rosario's three-run homer. But the lead was short-lived after Hernandez bested Hildenberger in the seventh following.